This article is about Western art music to the present. For Western art music from 1750 to 1820, see Classical period (music). For other "classical" and art music traditions, see List of classical and art music traditions. For the magazine, see Classical Music (magazine). European art music is largely distinguished from many other non-European classical and some popular musical forms by its system of staff notation, in use since about the 11th century. [not in citation given] Catholic monks developed the first forms of modern European musical notation in order to standardize liturgy throughout the worldwide Church. Western staff notation is used by composers to indicate to the performer the pitches (which form the melodies, basslines and chords), tempo, metre and rhythms for a piece of music. [clarification needed] This can leave less room for practices such as improvisation and ad libitum ornamentation, which are frequently heard in non-European art music and in popular-music[clarification needed][not in citation given] styles such as jazz and blues. Another difference is that whereas most popular styles adopt the song (strophic) form or a derivation of this form, classical music has been noted for its development of highly sophisticated forms of instrumental music such as the symphony, concerto, fugue, sonata, and mixed vocal and instrumental styles such as opera, cantata, and mass. Given the wide range of styles in European classical music, from Medieval plainchant sung by monks to Classical and Romantic symphonies for orchestra from the 1700s and 1800s to avant-garde atonal compositions for solo piano from the 1900s, it is difficult to list characteristics that can be attributed to all works of that type. However, there are characteristics that classical music contains that few or no other genres of music contain, such as the use of music notation[clarification needed] and the performance of complex forms of solo instrumental works (e.g., the fugue). Furthermore, while the symphony did not exist prior to the late 18th century, the symphony ensemble—and the works written for it—have become a defining feature of classical music. The key characteristic of European classical music that distinguishes it from popular music and folk music is that the repertoire tends to be written down in musical notation, creating a musical part or score. This score typically determines details of rhythm, pitch, and, where two or more musicians (whether singers or instrumentalists) are involved, how the various parts are coordinated. The written quality of the music has enabled a high level of complexity within them: fugues, for instance, achieve a remarkable marriage of boldly distinctive melodic lines weaving in counterpoint yet creating a coherent harmonic logic that would be difficult to achieve in the heat of live improvisation. [clarification needed] The use of written notation also preserves a record of the works and enables Classical musicians to perform music from many centuries ago. Musical notation enables 2000s-era performers to sing a choral work from the 1300s Renaissance era or a 1700s Baroque concerto with many of the features of the music (the melodies, lyrics, forms, and rhythms) being reproduced. That said, the score does allow the interpreter to make choices on how to perform a historical work. For example, if the tempo is written with an Italian instruction (e.g., Allegro), it is not known exactly how fast the piece should be played. As well, in the Baroque era, many works that were designed for basso continuo accompaniment do not specify which instruments should play the accompaniment or exactly how the chordal instrument (harpsichord, lute, etc.) should play the chords, which are not notated in the part[clarification needed] (only a figured bass symbol in the bass part is used to guide the chord-playing performer). The performer and the conductor have a range of options for musical expression and interpretation of a scored piece, including the phrasing of melodies, the time taken during fermatas (held notes) or pauses, and the use (or choice not to use) of effects such as vibrato or glissando (these effects are possible on various stringed, brass and woodwind instruments and with the human voice). The instruments currently used in most classical music were largely invented before the mid-19th century (often much earlier) and systematised in the 18th and 19th centuries. They consist of the instruments found in an orchestra or in a concert band, together with several other solo instruments (such as the piano, harpsichord, and organ). The symphony orchestra is the most widely known medium for classical music[not in citation given] and includes members of the string, woodwind, brass, and percussion families of instruments. 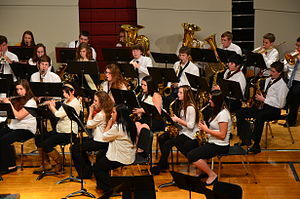 The concert band consists of members of the woodwind, brass, and percussion families. It generally has a larger variety and number of woodwind and brass instruments than the orchestra but does not have a string section. However, many concert bands use a double bass. The vocal practices changed over the classical period, from the single line monophonic Gregorian chant done by monks in the Medieval period to the complex, polyphonic choral works of the Renaissance and subsequent periods, which used multiple independent vocal melodies at the same time. Many instruments originated during the Renaissance; others were variations of, or improvements upon, instruments that had existed previously. Some have survived to the present day; others have disappeared, only to be re-created in order to perform music on period instruments. As in the modern day, instruments may be classified as brass, strings, percussion, and woodwind. Brass instruments in the Renaissance were traditionally played by professionals who were members of Guilds and they included the slide trumpet, the wooden cornet, the valveless trumpet and the sackbut. 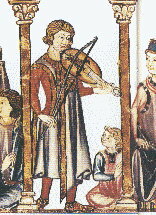 Stringed instruments included the viol, the rebec, the harp-like lyre, the hurdy-gurdy, the lute, the guitar, the cittern, the bandora, and the orpharion. Keyboard instruments with strings included the harpsichord and the virginals. [clarification needed] Percussion instruments include the triangle, the Jew's harp, the tambourine, the bells, the rumble-pot, and various kinds of drums. Woodwind instruments included the double reed shawm, the reed pipe, the bagpipe, the transverse flute, the recorder, the dulcian, and the crumhorn. Vocal music in the Renaissance is noted for the flourishing of an increasingly elaborate polyphonic style. The principal liturgical forms which endured throughout the entire Renaissance period were masses and motets, with some other developments towards the end, especially as composers of sacred music began to adopt secular forms (such as the madrigal) for their own designs. Towards the end of the period, the early dramatic precursors of opera such as monody, the madrigal comedy, and the intermedio are seen. Around 1597, Italian composer Jacopo Peri wrote Dafne, the first work to be called an opera today. 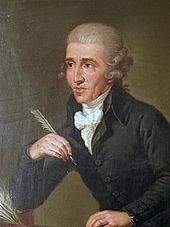 He also composed Euridice, the first opera to have survived to the present day. One major difference between Baroque music and the classical era that followed it is that the types of instruments used in Baroque ensembles were much less standardized. 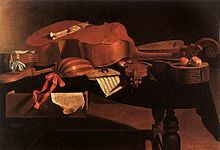 Whereas a classical era string quartet consists almost exclusively of two violins, a viola and a cello, a Baroque or Classical-era group accompanying a soloist or opera[non sequitur] could include one of several different types of keyboard instruments (e.g., pipe organ, harpsichord, or clavichord), additional stringed chordal instruments (e.g., a lute) and an unspecified number of bass instruments performing the basso continuo, including bowed strings, woodwinds and brass instruments (e.g., a cello, contrabass, viol, bassoon, serpent, etc.). The Wagner tuba, a modified member of the horn family, appears in Richard Wagner's cycle Der Ring des Nibelungen and several other works by Strauss, Béla Bartók, and others; it has a prominent role in Anton Bruckner's Symphony No. 7 in E Major. Cornets appear in Pyotr Ilyich Tchaikovsky's ballet Swan Lake, Claude Debussy's La mer, and several orchestral works by Hector Berlioz. [clarification needed] Unless these instruments are played by members doubling on another instrument (for example, a trombone player changing to euphonium for a certain passage), orchestras will use freelance musicians to augment their regular rosters. During the Baroque era, keyboard music played on the harpsichord and pipe organ became increasingly popular, and the violin family of stringed instruments took the form generally seen today. Opera as a staged musical drama began to differentiate itself from earlier musical and dramatic forms, and vocal forms like the cantata and oratorio became more common. Vocalists for the first time began adding extra notes to the music. Instrumental ensembles began to distinguish and standardize by size[clarification needed], giving rise to the early orchestra for larger ensembles, with chamber music being written for smaller groups of instruments where parts are played by individual (instead of massed) instruments. The concerto as a vehicle for solo performance[clarification needed] accompanied by an orchestra became widespread. Major composers of this period include Wolfgang Amadeus Mozart, Ludwig van Beethoven, Joseph Haydn, Christoph Willibald Gluck, Johann Christian Bach, Luigi Boccherini, Carl Philipp Emanuel Bach, Muzio Clementi, Antonio Salieri, and Johann Nepomuk Hummel. Encompassing a wide variety of post-Romantic styles composed through the year 2000, 20th-century classical music includes late romantic, impressionist, neoclassical, neoromantic, neomedieval, and postmodern styles of composition. Modernism (1890–1930) marked an era when many composers rejected certain values of the common practice period, such as traditional tonality, melody, instrumentation, and structure. The high-modern era saw the emergence of neo-classical and serial music. 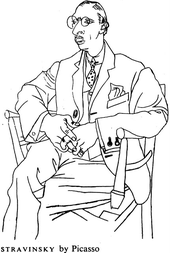 A few authorities have claimed high-modernism as the beginning of postmodern music from about 1930. [not in citation given][not in citation given] Others have more or less equated postmodern music with the "contemporary music" composed from the late 20th century through to the early 21st century. All critics express the opinion that it is only from the mid-19th century, and especially in the 20th century, that the score began to hold such a high significance. Previously, improvisation (in preludes, cadenzas and ornaments), rhythmic flexibility (e.g., tempo rubato), improvisatory deviation from the score and oral tradition of playing was integral to the style. [clarification needed] Classical musicians tend to use scores and the parts extracted from them to play music. Yet, even with notation providing the key elements of the music, there is considerable latitude in the performance of the works. Some of this latitude results from the inherent limitations of musical notation, though attempts to supplement traditional notation with signs and annotations indicating more subtle nuances tend to overwhelm and paralyse the performer. Its[clarification needed] written transmission, along with the veneration bestowed on certain classical works, has led to the expectation that performers will play a work in a way that realizes in detail the original intentions of the composer. During the 19th century the details that composers put in their scores generally increased. Yet the opposite trend—admiration of performers for new "interpretations" of the composer's work—can be seen, and it is not unknown for a composer to praise a performer for achieving a better realization of the original intent than the composer was able to imagine. Thus, classical performers often achieve high reputations for their musicianship, even if they do not compose themselves. Generally however, it is the composers who are remembered more than the performers. In 1996/97, a research study was conducted on a population of preschool through college students in the Cherry Creek School District in Denver, Colorado, US. The study showed that students who actively listen to classical music before studying had higher academic scores. The research further indicated that students who listened to the music prior to an examination also had positively elevated achievement scores. Students who listened to rock-and-roll or Country music had moderately lower scores. The study further indicated that students who used classical music during the course of study had a significant leap in their academic performance; whereas, those who listened to other types of music had significantly lowered academic scores. The research was conducted over several schools within the Cherry Creek School District and was conducted through the University of Colorado. This study is reflective of several recent studies (i.e. Mike Manthei and Steve N. Kelly of the University of Nebraska at Omaha; Donald A. Hodges and Debra S. O'Connell of the University of North Carolina at Greensboro; etc.) and others[full citation needed] who had significant results through the discourse of their work.